The Houston Rockets have suffered another serious injury blow. According to ESPN's Adrian Wojnarowski, Clint Capela is set to miss four-to-six weeks with a thumb injury. Capela hurt his thumb during the Rockets' loss to the Orlando Magic on Sunday. The Rockets are already without Chris Paul due to a hamstring injury, and Eric Gordon because of a knee problem. 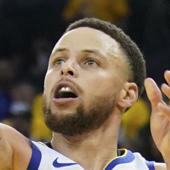 Those two are expected back relatively soon -- Gordon should return next week, and Chris Paul in the next week or two -- but the Rockets will have to play multiple games down three of their five best players, they'll next take the floor on Monday night when they face the Grizzlies (8 p.m. ET -- Watch on FuboTV with NBA League Pass extension ). That will put even more pressure on James Harden, who has carried the Rockets on his back for a few weeks now. On the Capela front specifically, though, this is a really tough blow for the Rockets. While losing Paul and Gordon for extended periods hurts, those two are a bit more replaceable due to the Rockets' personnel. They have no one like Capela -- few teams in the league do, to be fair -- and the big man is key cog on both ends of the floor. For the season, Capela is putting up 17.6 points, 12.6 rebounds and 1.8 blocks per game while shooting 63 percent from the field. And he does so while playing over 34 minutes a night. There's simply no way the Rockets can replace that type of production, even if they try to make a trade in the meantime. It will be interesting to see how the Rockets fare in this period. While Harden has carried them back into the playoff picture after an awful start, a rough stretch here could send them tumbling down the standings in the crowded Western Conference.